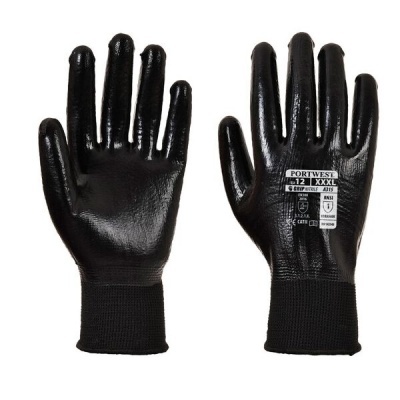 Ergonomically designed to provide comfort, protection and grip, the Portwest All-Flex Nitrile Foam-Coated Handling Gloves A315 are a lightweight pair of gloves that boost performance in general handling applications. They use a combination of exceptional safety, high grip and strong dexterity to allow the user total control during handling materials, giving the user the confidence to work efficiently. 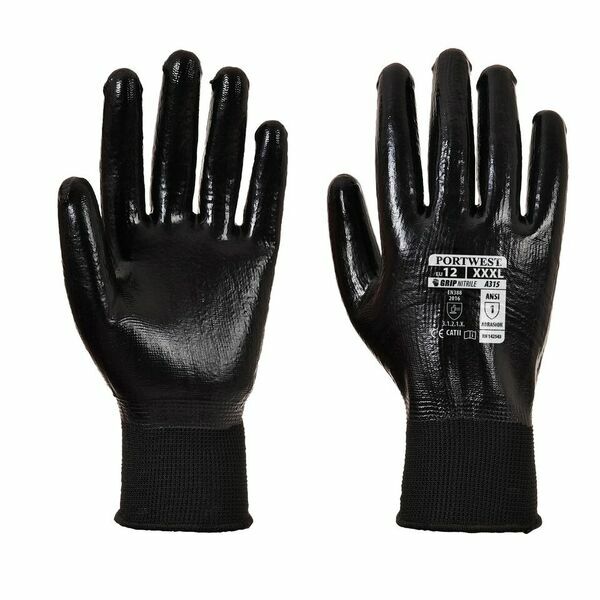 The Portwest All-Flex Gloves are available in four sizes that should suit the hands of most users. Please measure the circumference of your hand around the knuckles (excluding the thumb) with your hand open and your fingers together, and the length of your hand from the tip of your middle finger to your wrist.